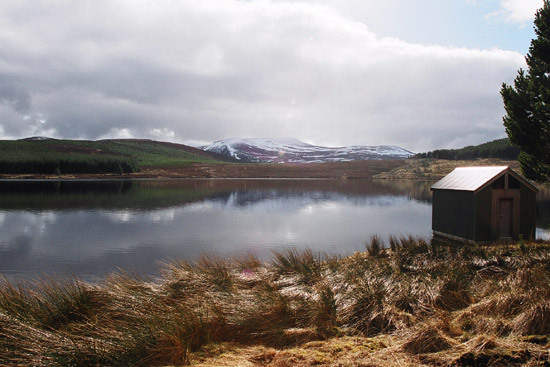 Loch Bad a' Bhathaich (pronounced Badaviach) is a remote loch of approximately 27 hectares, situated above the Rusdale or Blackwater tributary of the River Alness at an elevation of 318m (1040 ft). 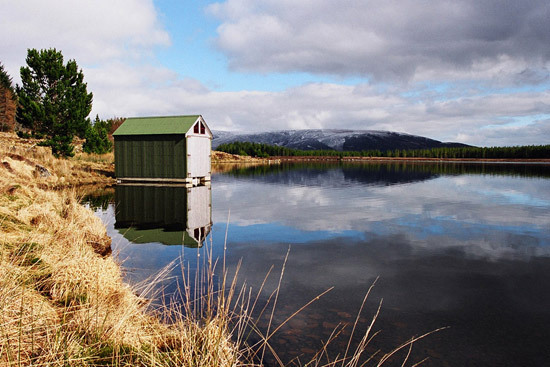 Bad a' Bhathaich is a classic highland loch in a serene setting with divers on the water, the occasional visiting osprey, and deer in the surrounding woodland and moorland. 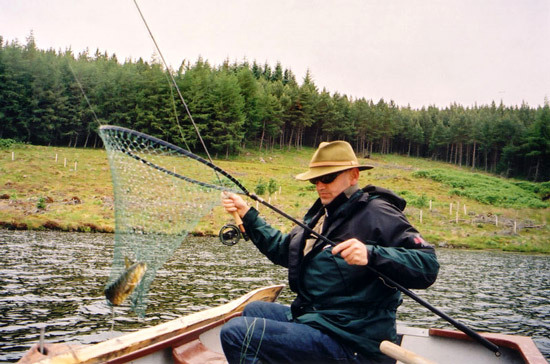 The loch is generally an ideal depth for fly fishing, ranging between 1.5 and 4m, but depth fluctuates significantly and there are some deep holes of up to 10m in depth, as well as stony shallows (skerries) that appear even in the middle of the loch providing interesting drifts. 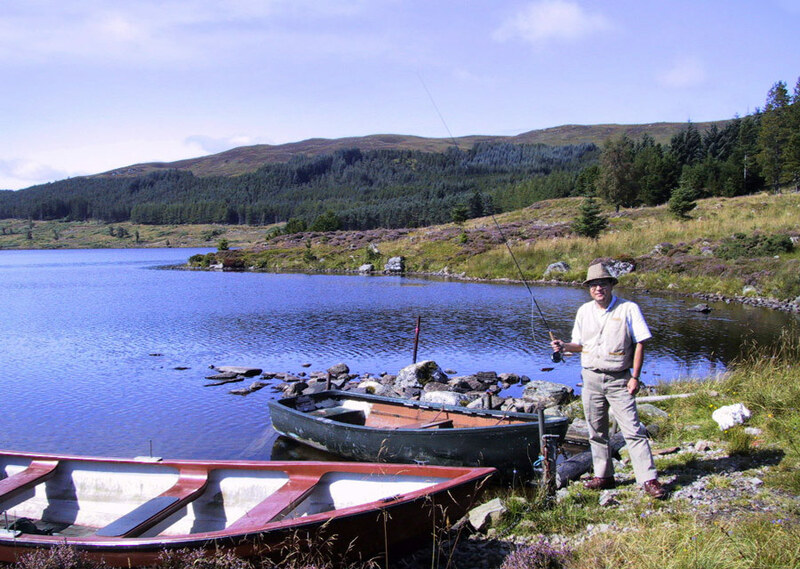 Fishing on Bad a' Bhathaich is by boat only, and we have a 15ft boat on the loch. 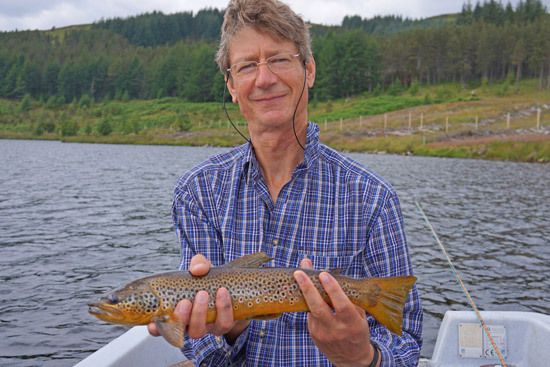 The length of the loch east to west is about 900m, so for the fitter angler, it can be fairly comfortably covered just 'on the oars', but when guiding we also use an electric outboard motor. 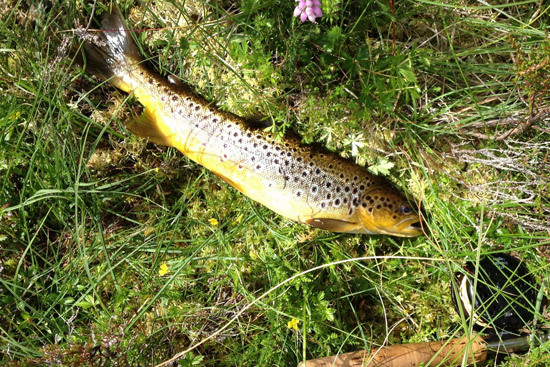 The water is crystal clear and largely spring-fed, and so despite the high altitude, the water can warm quickly in the spring, and buzzer hatches can occur from as early as April, with olives, and sedges appearing as the season progresses. 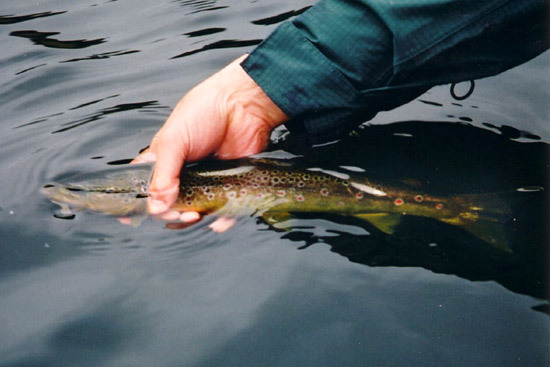 Traditional loch style and modern dry fly and nymph tactics are both effective depending on the wind and wave conditions. 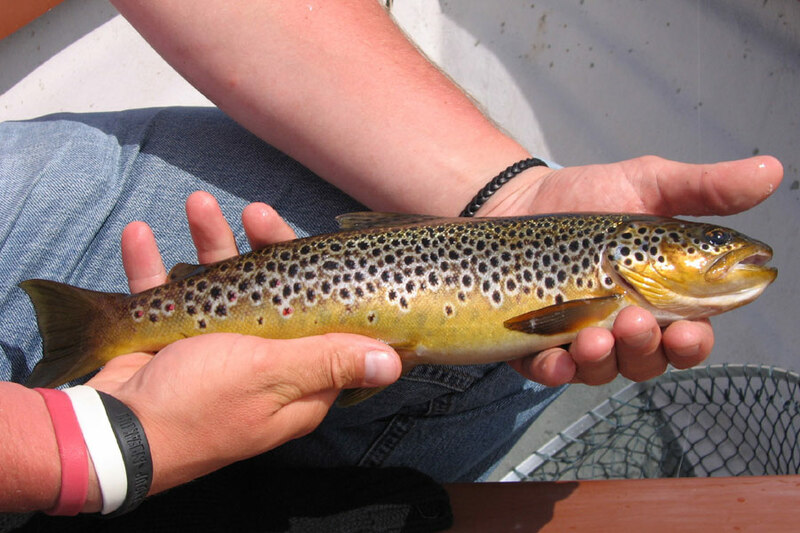 The brown trout are of good quality and fish up to 2lbs in size can be caught here (we know there are larger fish also! 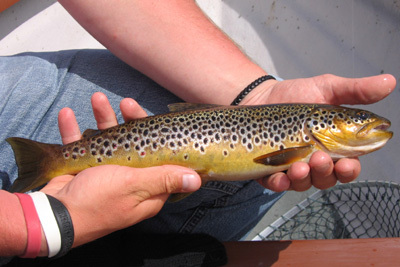 ), with the average size being between ¾ and 1lb. 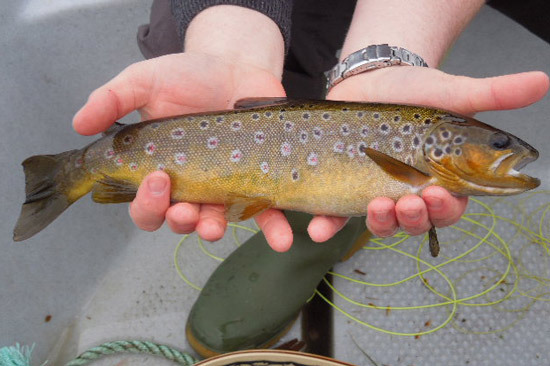 As on most of the waters that we fish for wild brown trout, we encourage 'catch and release'. 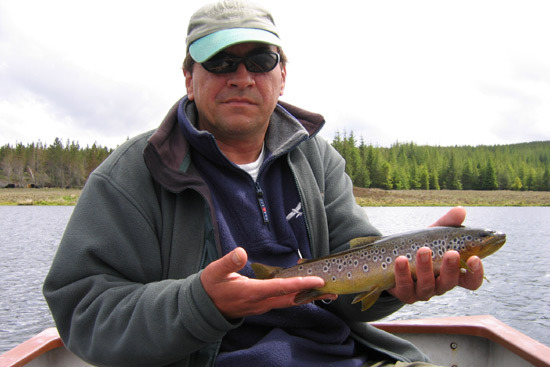 Pricing for boat hire including up to 2 permits is £30/day. 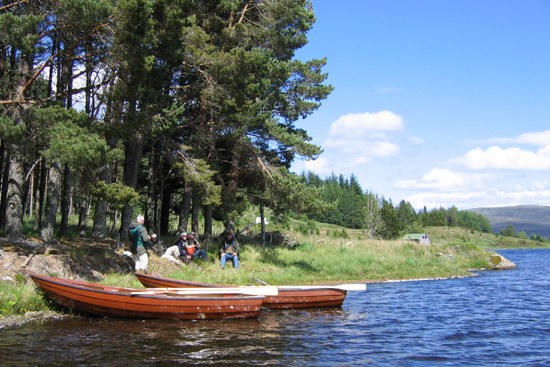 Boats are also available to hire from Evanton Angling Club. Please contact David Smith, the Club Treasurer on 01349 831019.